Walk-ins are welcome at the WSPMA’s 2019 Annual Conference, the region’s top annual podiatric medical education activity. Check out our incredible line-up of presentations with special emphasis on new Opioid guidelines and implementation, new thoughts and updates on wound care, tendon repair, regenerative protocols and procedures, cutting-edge technology and more! Network and exchange ideas with other podiatric physicians, learn and develop new trends, and win fun prizes. Earn those all-important CME credits and participate in WSPMA’s Annual Business Meeting! You may even get to see one of your WSPMA peers perform a little entertainment! The 2019 WSPMA Conference will be held at the Hotel Murano in Downtown Tacoma on April 5–7. We hope you are able to join us for this great opportunity to socialize and learn alongside fellow podiatric specialists. Starting in 2019, podiatric physicians from outside the state of Washington will also have the opportunity to come to the WSPMA Annual Conference and earn their required CME credits.The WSPMA 2019 Annual Conference is co-sponsored by the Ohio Foot and Ankle Medical Foundation. The Ohio Foot and Ankle Medical Foundation is approved by the Council on Podiatric Medical Education as a sponsor of continuing education in podiatric medicine. Total continuing education contact hours is 18. Thank you to all who attended the 2019 WSPMA Annual Conference! We'll see you next year in Spokane, WA! Register additional assistants who are WSPMAA members from the same office and receive $50 off each additional registration. To take advantage of this offer, complete registration of the first assistant and then send an email to [email protected] for details on how to add additional assistants at the lower rate. 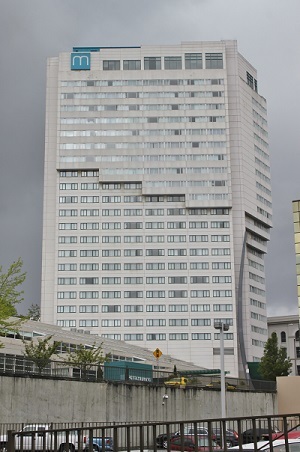 The 2019 WSPMA Conference will take place at the Hotel Murano in Tacoma, WA. 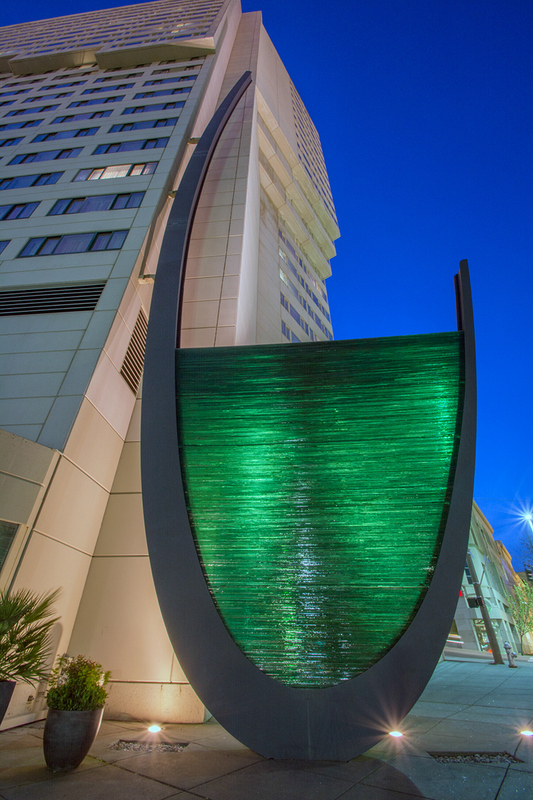 This artful downtown hotel is just steps away from the city's best museums and restaurants and is decorated with a museum-worthy collection of glass art from around the world. While we are no longer offering the WSPMA group rate, you may still make a reservation with the hotel online or by calling the Hotel Murano reservations department at (877) 986-8083. WSPMAA is offering CPR and AED Training at the 2019 Annual Conference. Delivered by a licensed professional, the Cardiopulmonary Resuscitation and Automated External Defibrillator training can refresh your skills and help position you to save someone's life. This training requires pre-registration and is separate from your normal conference registration. The WSPMA Conference Committee, led by Debbie Behre, DPM, diligently developed an information-packed program that is sure to please. Areas of focus have been organized surrounding Wound Care, Cutting-Edge Advances, and Tendons. Other planned topics include Opioids, legal issues, coding and compliance and more. The Physicians' Program is now available to view, but is subject to change. Information and details pertaining to the Assistants' Program are currently in development, and will be available to view soon. The assistants' program is chalk-full of new and engaging content for 2019. The schedule features concentrated roundtable- and panel-discussions about technology and in-office best practices; a how-to session about successfully engaging with your team to improve your processes and procedures; and well-informed updates about insurance, opioids, and more. For many years, the WSPMA Annual Conference has offered local and national companies a tremendous opportunity to showcase their products and services to hundreds of podiatric physicians from all over the state of Washington as they earn their required CME credits. New starting in 2019, the WSPMA Conference will be open to podiatric physicians from outside Washington as well. As a sponsor or exhibitor, this means putting your name before an even bigger audience, and spreading the word about your company even farther. We hope we'll see you at the 2019 WSPMA Conference! DPMs now need twice as many CME credits as before, and the annual conference offers a simple way for DPMs to collect many of their required CMEs in one place. The WSPMA 2019 Annual Conference is co-sponsored by the Ohio Foot and Ankle Medical Foundation. The Ohio Foot and Ankle Medical Foundation is approved by the Council on Podiatric Medical Education as a sponsor of continuing education in podiatric medicine. Total continuing education contact hours is 18. The Annual Membership Meeting is an opportunity to hear in-depth what your organization is doing to protect your practice rights in the state, as well as other benefits of membership. Every year, one special podiatric physician is recognized and thanked for their work on behalf of the WSPMA membership. The Washington State Podiatric Medical Assistants Association also participates in the WSPMA Annual Conference and offers your assistants a chance to learn how to help your practice grow and your patients thrive. Encourage your assistant to take part in this beneficial program!